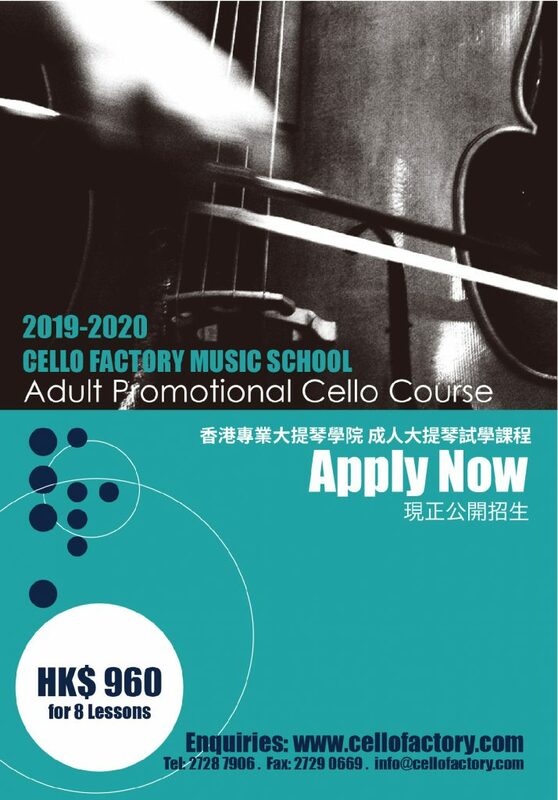 Adult Cello Promotional Course is suitable for beginners completely new to the instrument. Any enthusiastic person aged above 14 with little or no background is welcomed. The fundamentals of the instrument are introduced. Simple melodies and scales are also touched upon to give the course a musical dimension. Students may arrange in different classes in our seasonal course Elementary/ Intermediate/ Advanced level classes depending on their musical backgrounds after the promotional course. 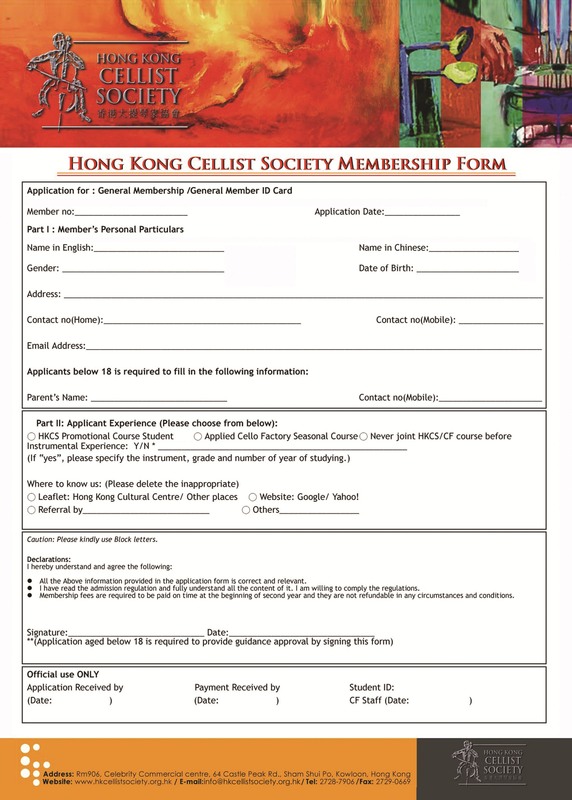 Instrumental rental plan schemes are offered by the Cello Factory Music Shop for students who do not own an instrument. Through these promotional courses and rental schemes, we hope to open the door for more people to discover the joy of playing and expressing themselves through music. School offers Home / Lesson Instrument Rental Scheme for promotional course students home practicing and lesson use.